What is the Winnipeg Advantage? Check out our new YES! Winnipeg video, done in partnership with Tripwire Media. It’s the collection of unique strengths, culture, and close-knit relationships that allows our city to punch above its weight. It’s what companies, and the people that work for them, are starting to recognize about Winnipeg. And these attributes are increasingly having others consider the city as a space to make an investment or reinvestment decision here. 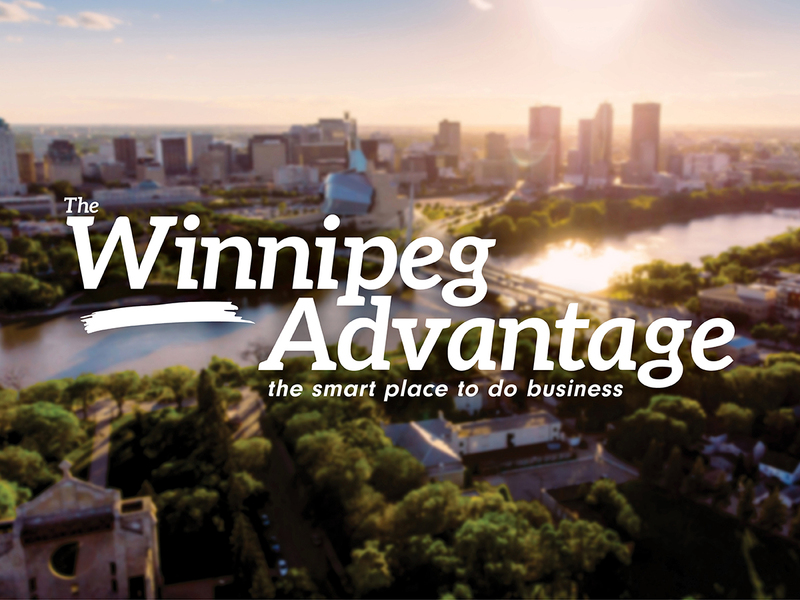 Read more about the Winnipeg Advantage here. The strength of the Winnipeg Advantage is highlighted when contrasting against other North American cities. Life in Toronto, Vancouver, and New York isn’t what it used to be. High-costs, long commutes, a lack of sense of community, and limited quality of life – particularly for families – are forcing talent and companies to look at other options. Winnipeg, when compared to those other cities, stands above the rest. Our city offers a balance between a rich quality of life and strong community ties, alongside good jobs and economic opportunity in cutting-edge industries which are increasingly in demand. The Winnipeg Advantage is real, and it continues to drive YES! Winnipeg’s value proposition forward. The initiative has had a successful 2018 in attracting jobs and investment to the city. Over the past 11 months, YES! Winnipeg has supported the creation of 1,510 new jobs, new capital investment of over $69.4 million, and new annual payroll of over $42.4 million. Companies like Canada Goose, Ubisoft, and GrowForce have all been part of YES! Winnipeg’s recent successes – see the full list of 2018 successes here. YES! Winnipeg successes are helping to create new, and different, opportunities in our city. Based on feedback from its investor community, the YES! team continues to focus on bottlenecks identified by the private sector. Creating strategic approaches to increase talent attraction and retention, and connecting companies with needed capital are two initiatives that will be seeing increased attention in 2019. A successful talent and capital attraction strategy requires access to relevant and competitive data. One of the new tools that YES! Winnipeg has incorporated into its tool belt is Gazelle.ai, which is a sophisticated artificial intelligence and machine learning platform to prospect investment leads. Intelligent programs like Gazelle.ai allows YES! Winnipeg to efficiently and effectively prospect for investment leads in Canada, the US, and globally. The system’s algorithms can identify fast-growing companies at a sub-sectoral level that have business growth requirements which match with Winnipeg’s competitive advantages, increasing YES! Winnipeg’s likelihood of success when reaching out to them. Read more about Gazelle.ai’s capabilities here. Packing all these initiatives together is YES! Winnipeg’s new branding, which was developed in partnership with 6P Marketing. YES! Winnipeg helps your business grow…here. Whether speaking to a foreign investor, a local company trying to expand, or any local business leader, this message is designed to resonate, and drive the work of the YES! team. This team continues to grow, with new team members who bring a multilingual and international experience to better reflect the face of our city, and support investment attraction through global best practices. Read more about the YES! Winnipeg team here. Winnipeg is evolving, and so is YES! Winnipeg. A relentless focus on job creation and investment growth continues to pay dividends for the organization, and the Winnipeg Advantage is helping to promote our city’s unique value proposition to new and existing companies from all over the continent. View a copy of The Winnipeg Investor here, to learn more about the Winnipeg Advantage, some of YES! Winnipeg’s investors and the work they are doing in our community, and a directory of local businesses who are part of the YES! Winnipeg team.